Endpoints connecting to the network continue to grow at an exponential pace. IoT connections are expected to reach more than 3.5 billion in 2023, according to Ericcson and reported by Forbes. While IoT offers exciting opportunities to businesses, the exploding number of endpoints sometimes leaves NetOps teams with the burden of manual configurations, which can lead to a lack of consistency and unwieldy network complexity. Network scalability is critical to keeping up with the demands of IoT, but achieving scalability comes with its own challenges. Network automation is a powerful tool for dealing with the pain points of achieving network scalability: increased costs and network complexity. As a network accommodates more users, nodes, and data, NetOps teams may struggle to keep the network performing at its peak. Maintaining and expanding the network requires more time and attention, keeping busy NetOps teams from focusing on tasks that could have a long-term impact on the bottom line. Digital transformation goals may take a backseat to tedious manual configurations. Network design may become haphazard and piecemeal rather than carefully planned and Implemented, resulting in increased costs and network complexity. A truly scalable network will have the same performance regardless of how many people are on the network. It should be simple to expand and maintain, and adding devices to the network should be quick and easy. Network automation makes these achievable goals. Automation Software Image Management—This tool allows users to manage software upgrades and control the consistency of image versions and configurations across the network, speeding up software deployment and patching. Automation Plug-And-Play—Automation Plug-And-Play enables zero-touch provisioning for new device installation. Cisco devices are provisioned as soon as they connect to the network. Enterprise Network Function Virtualization—The automation support for ENVF facilitates branch virtualization, saving time in setting up network virtual services. EasyQoS—This automation tool creates an end-to-end quality-of-service chain across your network. DNA Center and SD-Access automate wireless network configuration, making scalability simple and easy to manage. Defined policies are automatically applied, hardening security while lightening the workload of your NetOps team. DNA Center gives you end-to-end visibility across your network. Montana State University provides an example of how automation through SD-Access solves the pain points associated with network scalability. MSU is Montana’s largest university, with more than 16,500 students and more than 1000 faculty members. MSU is a nationally recognized public research university, with several top research departments, including chemistry, physics, and land resources and environmental sciences. MSU’s research requires massive amounts of data that needs to be transferred over their networks. MSU chose SD-Access because its automation tools make it fully scalable. They can converge their two physical networks and easily expand connectivity across the growing campus. Automated credentialing makes it simple for researchers to access the information they need regardless of their physical location. A haphazard approach to scalability can result in an overly complex, inefficient network. 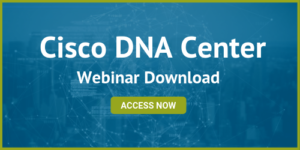 DNA Center Assurance is built into DNA Center, and it gathers data from across your network, comparing that data to the automated network policies you’ve put into place. DNA Center Assurance correlates the data, providing insights as to the health of your network and providing suggestions for remediation. You can quickly drill down to clients, services, applications, wired devices, and wireless devices to see where network issues are, and the automation tools allow you to easily make changes that improve your network’s performance. Client 360/Device 360: View devices and clients from any angle, including information on topology and throughput. Network Time Travel: View the cause of a network issue without having to recreate it. Path Trace: See the path of an application or service from the client all the way to the server. Intelligent Capture: Use radio scanning and packet capture to find and resolve wireless problems. 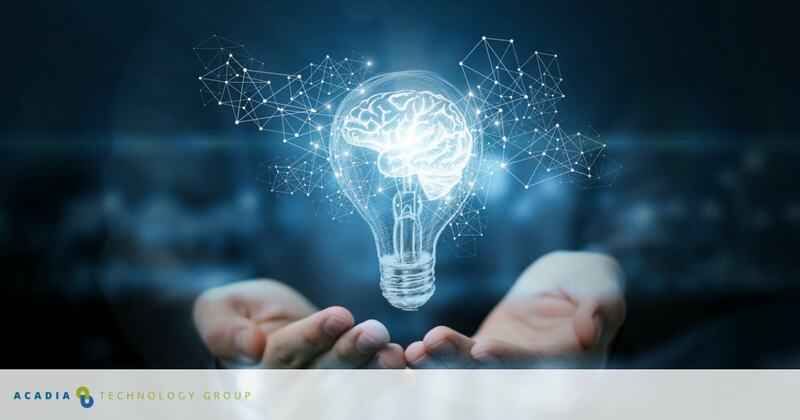 DNA Center, DNA Center Assurance, and SD-Access work together to create a seamless, scalable network without the pain of increased costs and unnecessary complexity. Network automation drives scalability and relieves your team of tedious, time-consuming manual tasks. Organizations that have implemented SD-Access have seen improve network access and lower costs. At Acadia Technology Group, we know the challenges of network scalability. We’re Cisco technology experts with extensive experience in implementing Cisco solutions that help organizations grow. Contact us today to find out how we can improve your network scalability through automation.